In 1983, Adam Walsh went missing from a Hollywood shopping mall and quickly became the most famous missing child in American history. In 2017, a man called Adam Welsh googled himself and found Adam Walsh. 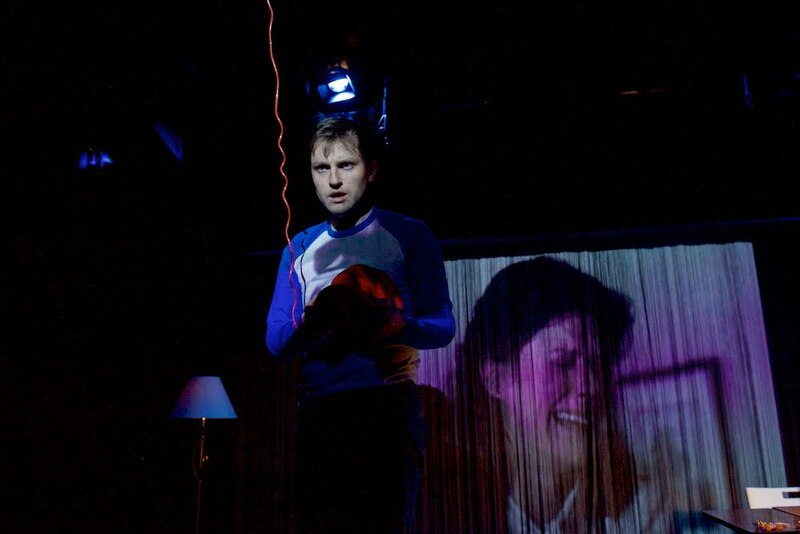 This incident prompted him to write an intriguing semi-autobiographical debut solo show There but for the grace of God (go I) which runs for a limited number of performances this August. This honest and humane production highlights the vulnerability of children and questions how any of us really survive childhood. Through conversation, live re-enactment, song, home videos, poetry and even Lego, Adam Welsh reflects on the care parents have for their children, but how they can’t always help them. It is a meditation on how tragedy can render the world meaningful, an investigation into not being dead, yet. There but for the grace of God (go I) playfully shifts from initial light-hearted irritation to expose the investigation into Adam Walsh’s disappearance and the connections between this child and a young actor searching for meaning in obscurity, unexpectedly forced to examine his own life. Adam Welsh comments, True Crime often tends to play into our need for certainty, for answers, and often when there are none. I very much felt this way about my own past. While I was lucky enough to survive childhood, big questions seemed to hang over those early years. I rather unashamedly used the show as an excuse to ask my parents these questions directly. I found that the show provided a useful context for me to have difficult conversations with them that I don’t think we would have otherwise had. Everything in the show comes from something that has actually been said – sort of verbatim theatre – I wanted to make something that felt very real, that had verisimilitude, but also something that was theatrical and affecting. It’s a big responsibility using other people’s words and real-life stories. This show was originally commissioned and supported by Camden People’s Theatre, ARC, Stockton and Arts Council England.